Could it be possible that the knowledge we need will find us? No longer would we have to stop, search and grasp to figure out what we need right now. When the right information comes to us we can be more productive, successful human beings. If the network could help everyone succeed more of the time, could we live in a world of winners, where universal success is the the way our world works? Could it be possible that the knowledge we need will find us? No longer would most people go through most of their lives without knowing. 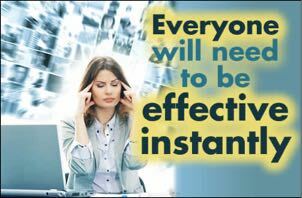 If information comes to us as part of daily living, we could all become more productive, successful human beings. Formal education would no longer be a gatekeeper. Everyone could be a “know it all,” regardless of their education level. 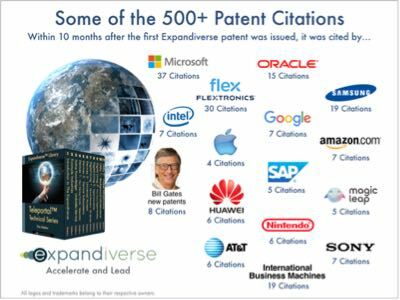 Imagine the possibilities of having the brains of Albert Einstein, the talents of Tom Cruise and the creativity of Madonna find you, show you, guide you. If the network could help everyone succeed all the time, could we live in a world of winners, where universal success is the the way our world works? 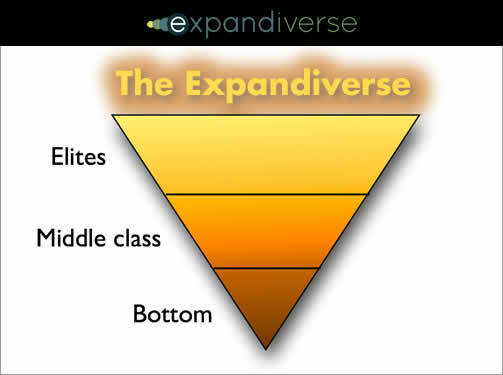 The Pyramid of Scarcity: Eternal or obsolete? Until now, we have lived in a physical world, locked down and held back by its biggest limit: Scarcity. Knowledge and information was transferred from one person to another, parent to child, trial and error. We evolved a traditional style of classroom instruction and educational institutions: Teaching, testing, grading, passing, failing. More recently television added observation and the Internet added webinars and MOOCs (Massive Open Online Courses). These still rely on recognition, memory and application. Even with Search we have to stop, find what we need and figure out how to use it effectively. At best progress is only a bit faster, while mediocrity is still the most frequent result. Most people don’t succeed upward. Only a few rise all the way to the top. Once there they want to keep their advantages and pass them to their children, so they amass power to stay up there. The physical world has always been this way, and continues even though an early Internet surrounds us. The physical world’s scarcities and limits created our pyramids of wealth, power and control. Look everywhere in today’s physical world. Its pyramids are everywhere. Nearly every organization’s and society’s local beliefs, culture and rules perpetuate them. But with a new digital world along side our physical world everyone would automatically get what they need to know to succeed. Technology could eliminate many kinds of scarcity while multiplying the performance of people, giving everyone the chance to leap over their limits and rise in new ways. Sure, many wouldn’t make the effort or rise only part way, but many would ascend. How much more could we produce personally and together if the network helps everyone become more successful and effective? More earnings, more spending and larger markets, generating more profits for companies and the economy. We think a network is communications. 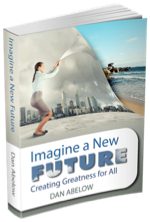 What if it were behavior and responsive ways to reach for your dreams? First, organize: Google’s mission — to organize the world’s information — comes from yesterday’s world of facts. It’s based on “static knowledge.” Everyone has to stop, search and find the right information from somewhere else. That helps some people a lot. But only some of the time, and not everyone. Networks stay based on communications and advertising. The world stays the same. Next, deliver: In tomorrow’s digital world Active Knowledge comes from what we do. It’s generated by us, and is based on us. Think about using devices that recognize you, and restore everything you’re doing as you switch from device to device, from screen to screen. That network knows who you are, your device, the task you’re doing and the steps you take. It aggregates it and responds to success and failure. You’re the filter and the Active Knowledge finds you. You can always know the best steps, like GPS directions to your goal. This changes everything. Networks are based on behavior. 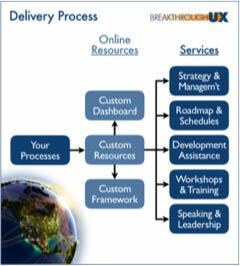 They deliver success, so success becomes the new world standard. 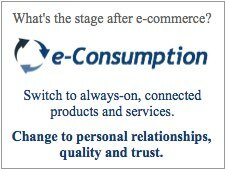 Then commerce: An Active Knowledge network will know what the world’s best is. And how to achieve it. If you want to be as good as the best in the world, it can tell you which devices, services and products are actually used for that. Then it helps you buy, rent, share and use them. You become the best. Along with everyone who wants to reach the top. Everything changes again. 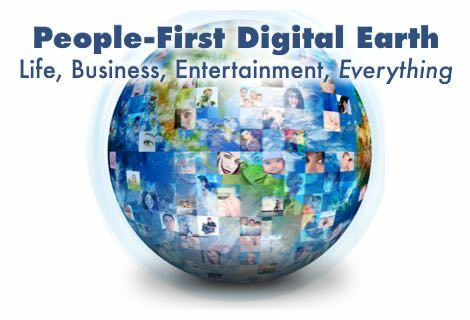 The network is the e-commerce channel inside what we do, ready to help everyone ascend all the time. The paradigm flips from push (find customers / sell them) to pull (when you want it, it’s there right away. Accelerate!). Then surge forward: Worldwide, the best knowledge is discovered and spread exponentially. An Active Knowledge network spots innovations, tests them and improves its guidance. It delivers the leading edge of progress to everyone as part of everyday living. Everyone can move out in front. Our world surfs the future, constantly becoming the best we can be. The Expandiverse name for this is AnthroTechtonics. Everything keeps changing. The network makes it normal to be great… and then become greater. It won’t matter whether you are in Silicon Valley or Sao Paulo. It won’t matter whether you are in Singapore or in a small village in Africa, South America or Asia. Everybody who uses a networked screen can receive Active Knowledge guidance — and become able to succeed as well as the best people in the world. Which could eventually be most people. AnthroTechtonics shift us to a new kind of future. One where everyone can surge to the top, when they decide to go there. 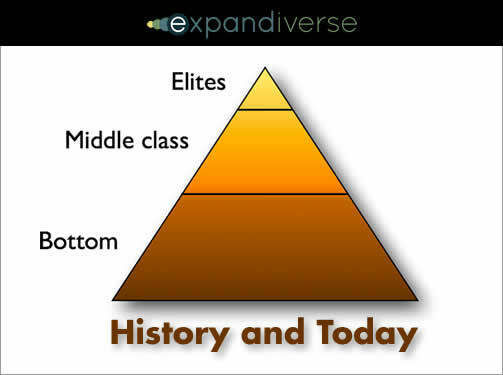 Tomorrow’s Hierarchy: Is an upside down pyramid a right-side up world? Ultimately, Active Knowledge creates the possibility of universal personal greatness. It makes knowing normal, rather than limiting it to “education.” It allows everyone to achieve — for themselves, where they are, when they want it and on the devices they happen to use throughout the day. 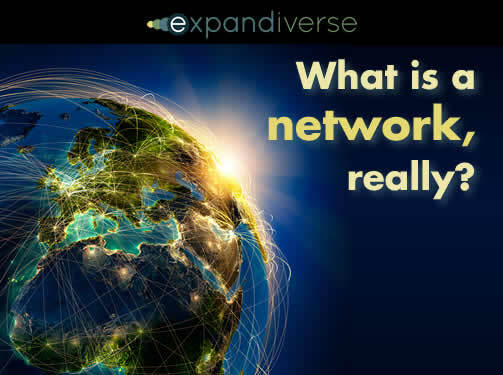 An evolved network leads to a new kind of world. Advances happen and spread all the time, not just when you’re at school, not just when your job teaches you something new. But any time you could be better, technology and life offer new options for you to become all you can be, and reach your full potentials. For too long, we’ve separated learning as something that takes effort, something that is done in libraries and by teachers, which makes it occasional and infrequent. 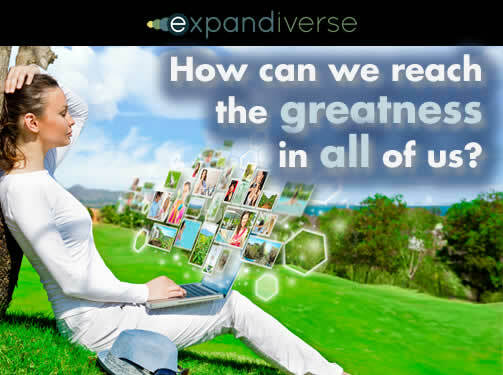 With Active Knowledge learning is life, and life is achieving the greatness that’s in all of us. Image credits: The first and third graphics are credited to Shutterstock. The second and fourth graphics are copyright Dan Abelow. 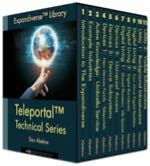 Share the post "Active Knowledge: Continuous learning to reach the greatness in all of us"